Beat the egg in a bowl, add the flour in another bowl and the panko with the tea in a third bowl. Cut the avocado, remove the peel off and remove the pit. Cut each half into six to eight thick ‘fries’. Dip the avocado fries first in the flour (shake the excess flour off), then in the egg and then in the panko-tea mixture. Make sure they are all nicely breaded. 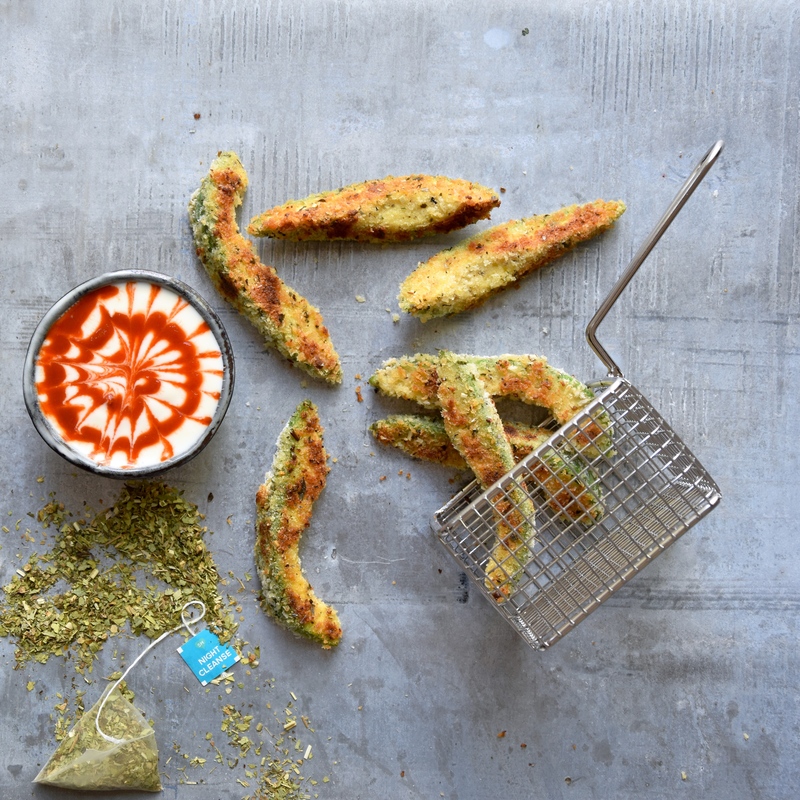 Fry the avocado fries in a frying pan in a layer of oil until nicely coloured on all sides.